Basingstoke: February 19th 2019 – Exertis, a leading distributor of technology products for the B2B, mobile and retail markets today announced a worldwide distribution agreement with mk2, the leading virtual reality experience provider in Europe. Exertis will provide a range of virtual reality solutions, suitable for a variety of applications including the workplace, events, arcades, enterprise deployments, and design houses distributed through its Exertis Supply Chain Services (ESCS) organisation. By including all the necessary technology within a premium-looking aluminium structure, a mk2 VR Pod can be installed anywhere in just one hour. mk2 collaborates with studios and independent creators to source premium VR experiences: movies, VR games, music, travel, art, animation, education, documentary, multi-player experiences, and more. Two new VR Pod products have been recently introduced: the VR Kiosk and the VR Pod Arena. The first is a smaller and lighter version of the original VR Pod, and probably the most affordable VR solution on the market. The VR Pod Arena is a 4-player VR solution designed for multiplayer gaming experiences and VR escape games, sold with premium gaming titles such as Arizona sunshine (Vertigo Games) and Space Junkies (Ubisoft). With analysts estimating that the number of VR Location-Based Entertainment locations will rise from around 5,700 in 2018 to 45,700 by the end of 2022 (source: Greenlight Insights analysis), mk2’s offer of VR solutions appears in a very favourable environment. mk2’s premium catalogue of curated VR experiences is also available to customers with the latest offerings from the world’s leading studios updated monthly. Their partners include the following studios: Felix & Paul Studios, Survios, WITHIN, SuperHot Team and many more. Exertis is the leading technology distributor of consumer, business and enterprise products from established and emerging technology brands in the UK, and a wholly owned subsidiary of parent company DCC PLC, a FTSE 100 company. After 37 years of profitability Exertis continues to outperform the market, achieving revenues of £3.08 billion in FY2018. Exertis (UK) Ltd represents over 470 manufacturers in the UK alone, spanning more than 22,000 products across mobile, computing and accessories, consumer electronics, entertainment, print, networking, servers and storage, unified communications, security and AV solutions. Exertis’ market-leading approach, teamed with a state-of-the-art distribution centre, next day delivery and a host of managed services, including end-user fulfilment, assures the highest levels of customer service and satisfaction at all times. mk2 is a multi-award-winning film exhibitor possessing a know-how extracted from 42 years of excellence. mk2 produced more than 100 movies and operate 26 theaters in Europe. mk2 have been awarded several times for the movie they produce or distributed, including 160 awards in major film festivals. From mk2 birth to nowadays, innovation and creation has always been part of their DNA. 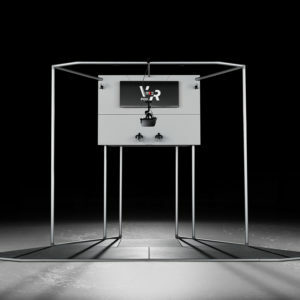 mk2 VR is a logical move for such an innovative and experimented company. In the coming month mk2 develop actual knowledge to the VR world by opening, venues, investing in content production and distribution, and a communication agency dedicated to VR.